This project analyzes how the Dutch networks functioned in the Atlantic world system and to explain to what extent and why these networks changed during this period. The analysis relates to the circulation of people and goods as well as to that of ideas. The project has not only generated more insight into the relevance of the Atlantic dimension to Dutch history, but also contributes to the rapidly expanding international field of ‘Atlantic history’ at large. 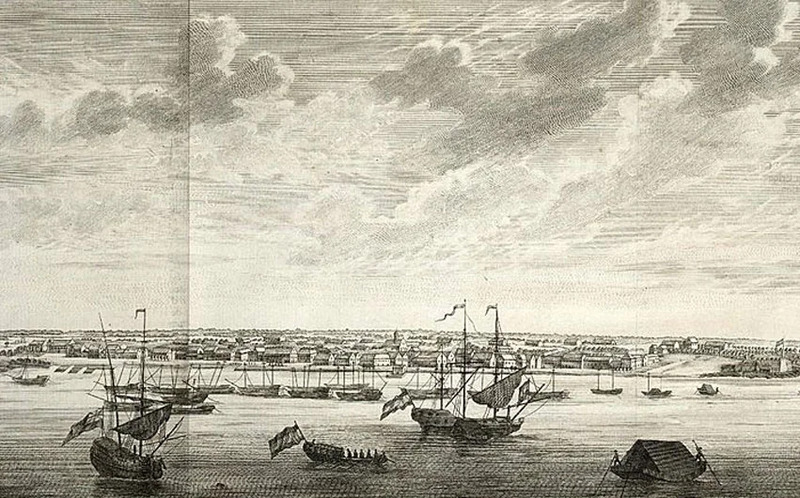 The early modern era witnessed the emergence of an integrated Atlantic world connecting Europe, Africa, and the Americas, including the West Indies. These parts of the western hemisphere were connected by the circulation of people, goods and ideas. This integrated Atlantic world disappeared in a few decades after the Revolutionary era for several reasons, particularly the end of the slave trade and the decolonisation of the Americas. In recent years, it has increasingly become clear that Dutch activities in this Atlantic world were of far greater significance than historians hitherto assumed. This research project focuses on the Dutch dimension of the integrated Atlantic World between 1680 and 1800. The pivotal and indeed exceptional role of the Dutch in the Atlantic world was not one of empire-builders, but one of middlemen and brokers, who greased the Atlantic economic machine with unrivalled credit facilities and a myriad of commodities and distribution channels. The research project focuses on four (clusters of) pivotal centres at both sides of the Dutch Atlantic (Amsterdam/Rotterdam; Paramaribo; Curaçao/St. Eustatius; Elmina). Each of these centres is considered to be a major junction in the flow of people, goods and ideas connecting the three continents of the Dutch Atlantic and its multinational environment. As part of this project, the KITLV hosted a major international conference of experts in Atlantic History in August of 2012. This two-day conference helped contextualize the findings of the DAC team of researchers and will result in an edited volume to be published in 2013. The Dutch Atlantic Connections project has also organized a theme group at the Netherlands Institute of Advanced Studies (NIAS) in the Spring of 2013. This theme group will bring together an international team of experts in (Dutch) Atlantic history to exchange ideas, share insights, and produce new research. The project will result in a synthesizing monograph and an edited volume, another two monographs, a number of articles in international and national journals, two doctoral. dissertations (one of which primarily financed from other sources and which has already been defended in 2012), a number of papers at international conferences, and digital databases. These publications are mostly in English in order to contribute most effectively to the burgeoning field of Atlantic studies. Click here for the full project proposal (in PDF). H. Jordaan, Slavernij en vrijheid op Curaçao: De dynamiek van een achttiende-eeuws Atlantisch handelsknooppunt [Slavery and freedom on Curaçao: The dynamics of an 18th-century nodal point], 2013. K.J. Fatah-Black, ‘Suriname, 1650-1816’, in: H. den Heijer and P.C. Emmer, (eds),Grote Atlas van de West-Indische Compagnie, Deel II: De Nieuwe WIC, 1674-1791, p. 204-211. Voorburg: Atlas Maior, 2012. Victor Enthoven, ‘That Abominable Nest of Pirates: St. Eustatius and the North Americans, 1680-1780’, Early American Studies 10-2:239-301, 2012. K.J. Fatah-Black, ‘Paramaribo en het achterland in de achttiende eeuw’, Oso: Tijdschrift voor Surinamistiek en het Caraïbisch gebied 30-2:298-315, 2011. G. Oostindie, ‘“British Capital, Industry, and Perseverance” vs. “Dutch Old School”? 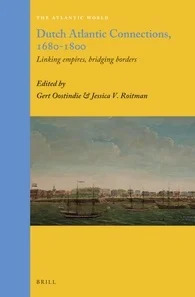 The British Takeover of Berbice, Demerara and Essequibo, 1750–1815,’ BMGN/Low Countries Historical Review 127-4:28-55, 2012. G. Oostindie and J.V. Roitman, ‘Re-positioning the Dutch in the Atlantic, 1680-1800’, Itinerario 36-2:129-160, 2012. J.V. Roitman, ‘Creating Confusion in the Colonies: Jews, Citizenship, and the Dutch and British Atlantics’, Itinerario 36-2:55-90, 2012. K.J. Fatah-Black and M. van Rossum, ‘Wat is winst? De economische impact van de Nederlandse trans-Atlantische slavenhandel’, Tijdschrift voor Sociale en Economische Geschiedenis 9:3-29, 2012. Wim Klooster & Gert Oostindie (eds), Curaçao in the Age of Revolutions, 1795-1800. Leiden: KITLV Press, 2011. Henk den Heijer, ‘New insights into Dutch shipping and trade in the Atlantic in early modern history‘, in M. de Groot and M. Wittenberg (eds), Driven by data. Exploring the research horizon, pp. 25-27. Amsterdam: Pallas Publications, 2010. Henk den Heijer, ‘Ten geleide‘ in: Erik van der Doe e.a. (eds), Sailing Letters Journaal II. De smeekbede van een oude slavin en andere verhalen uit de West,pp. 7-11. Zutphen: Walburg, 2009. Victor Enthoven, ‘Dutch Maritime Strategy’, in: D. Stoker, J.J. Hagan & M.T. McMaster (eds), Strategy in the War for American Independence: A Global Approach, pp. 176-201. London: Routledge, 2009.